On In the Dark, Perry Mattfeld plays Murphy, a hard-living, hard-drinking, disaffected twentysomething woman who is blind. Murphy lives with her supportive best friend, Jess, and her trusty guide dog, Pretzel. Her parents, Hank and Joy, own a guide dog school, a venture they opened hoping it would give Murphy a job with some purpose. Murphy’s closest friend is a sweet teenager named Tyson. Murphy and Tyson became friends after he saved her from a violent mugging. In the Dark also stars Rich Sommer, Brooke Markham, Casey Diedrick, Keston John, Morgan Krantz, Thamela Mpumlwana, Derek Webster and Kathleen York. 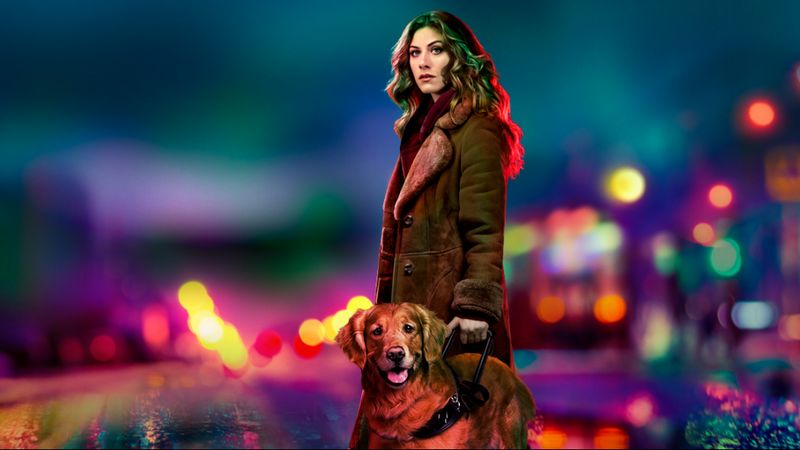 In the April 4 premiere, Murphy’s life comes crashing down when, while out for a walk with Pretzel, she stumbles upon what she’s sure is the lifeless body of Tyson in the alley outside her apartment. But when the police arrive — including a salt-of-the-earth detective named Dean (Rich Sommer) — there is no body to be found. With Murphy not exactly sober, the police aren't especially inclined to investigate. Murphy is devastated, and the only thing holding her back from spiraling downward even further is her resolve to learn what happened to Tyson.